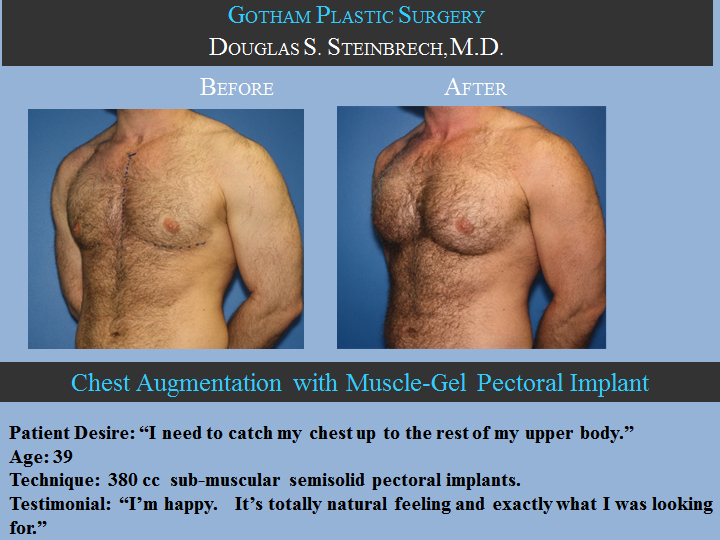 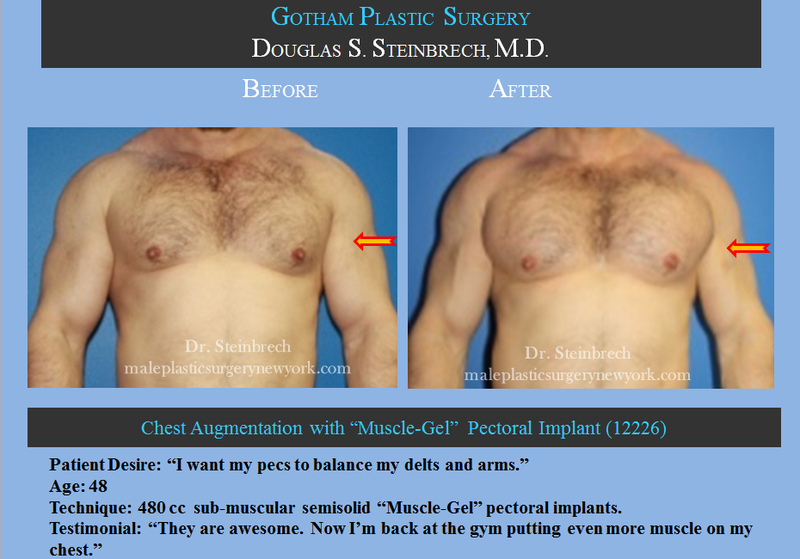 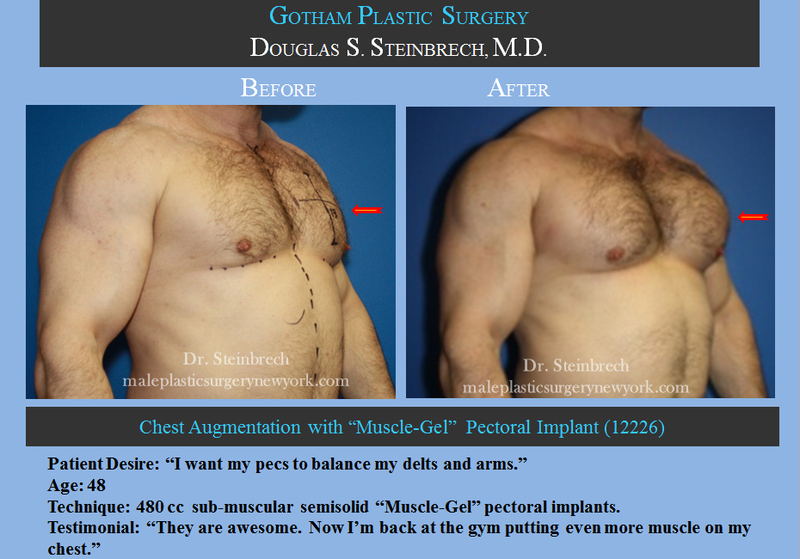 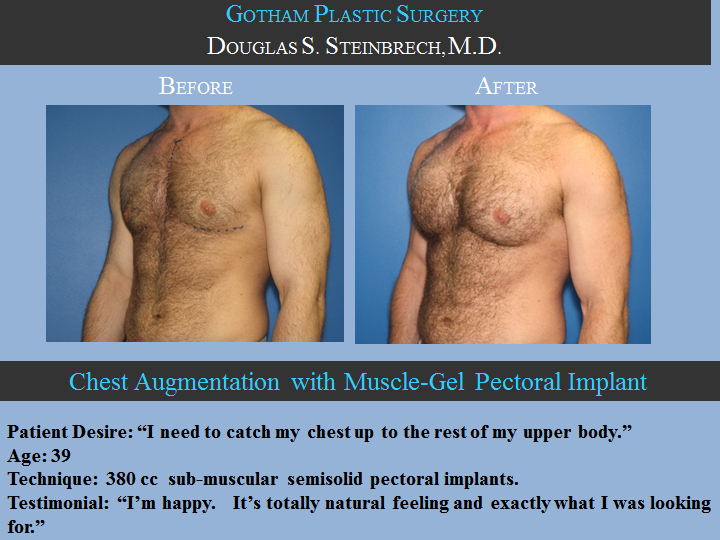 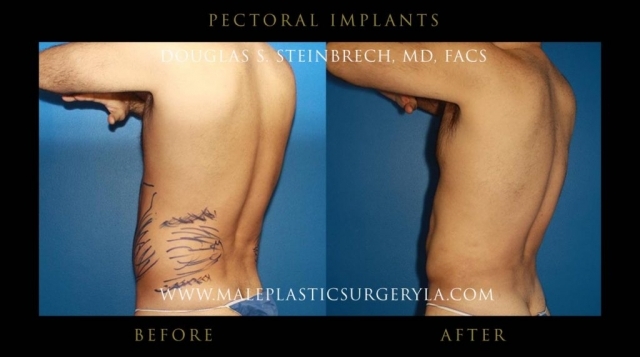 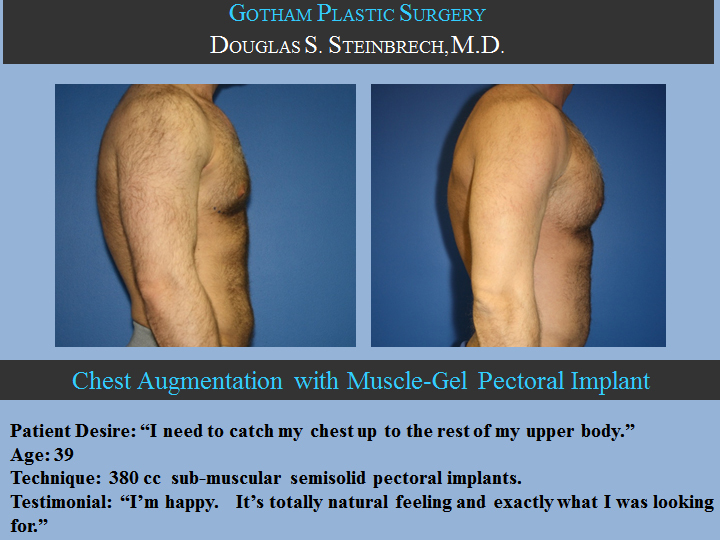 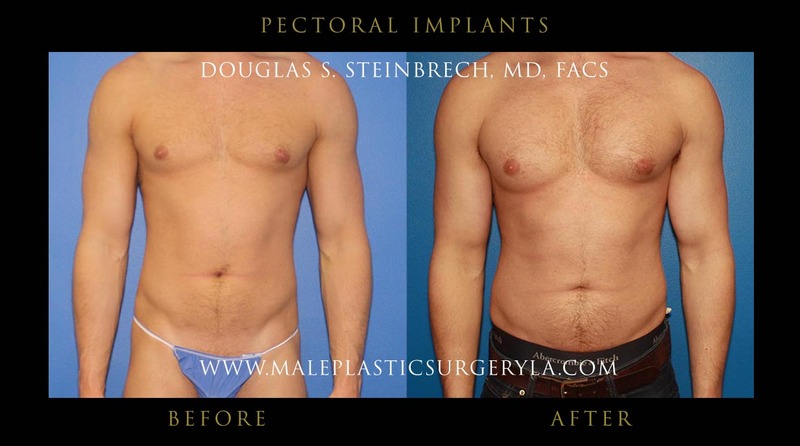 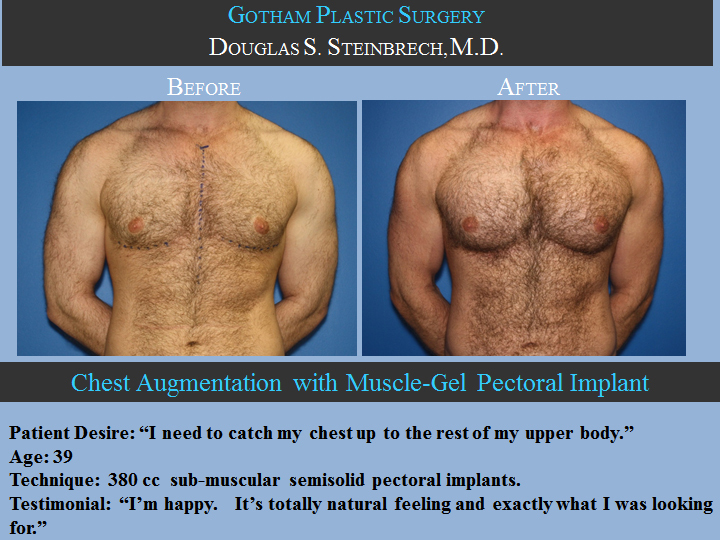 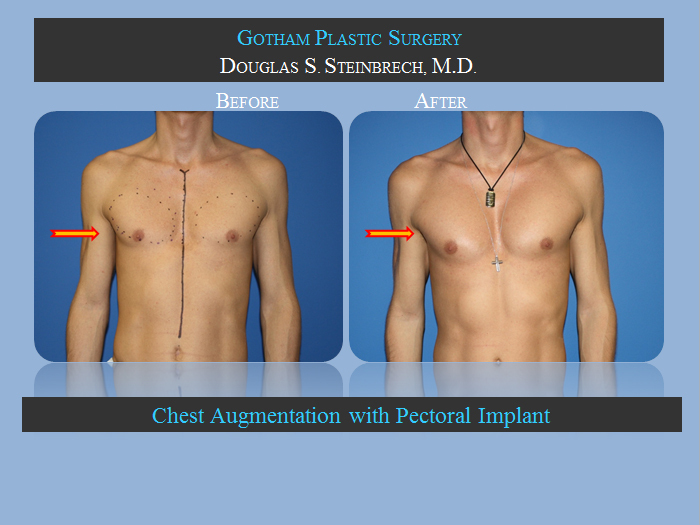 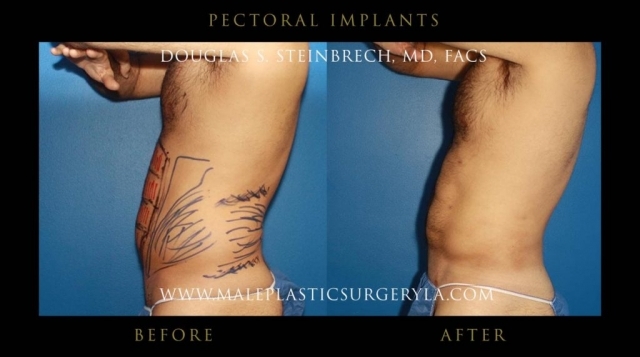 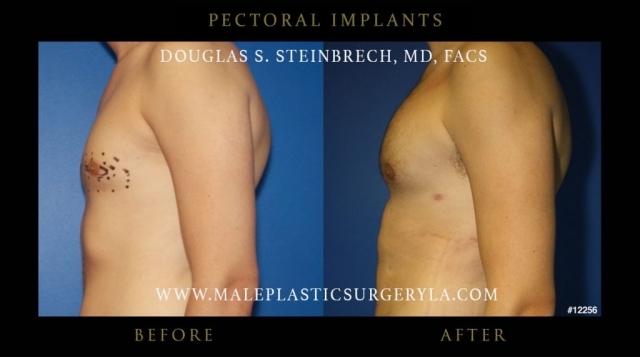 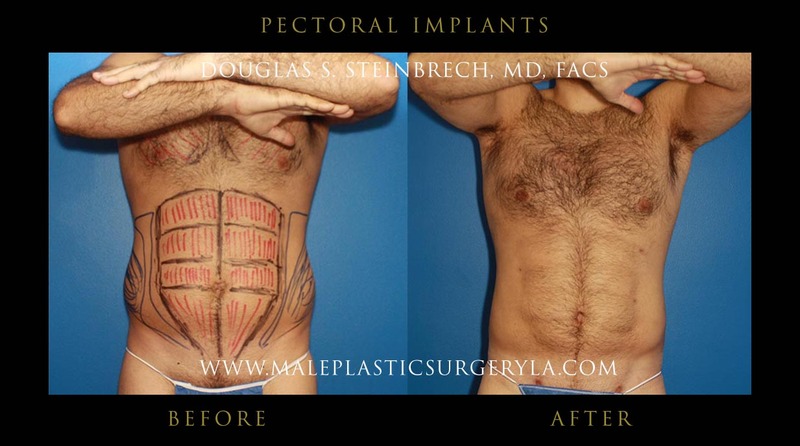 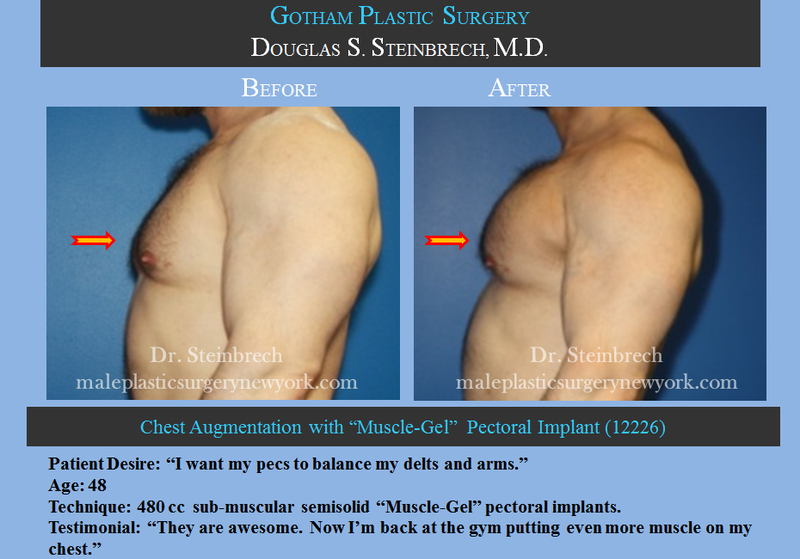 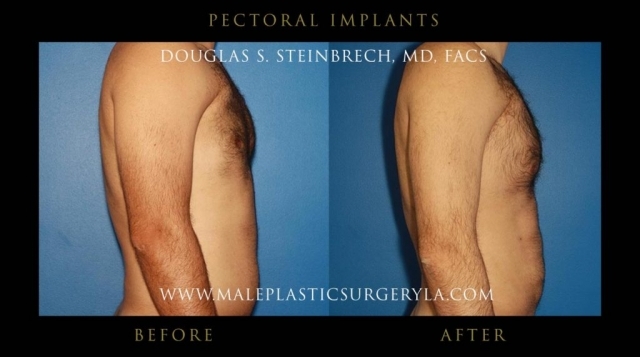 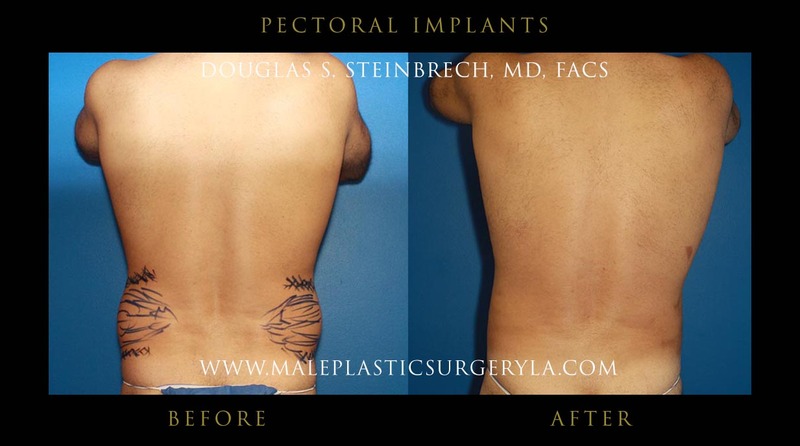 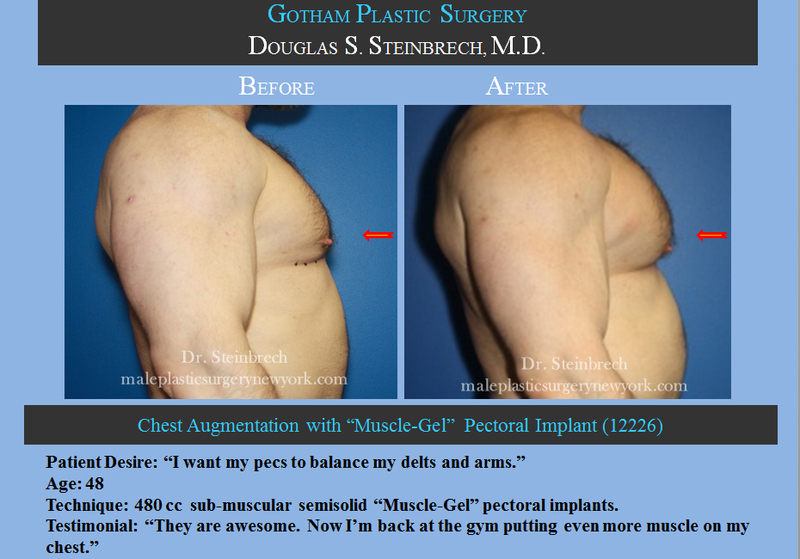 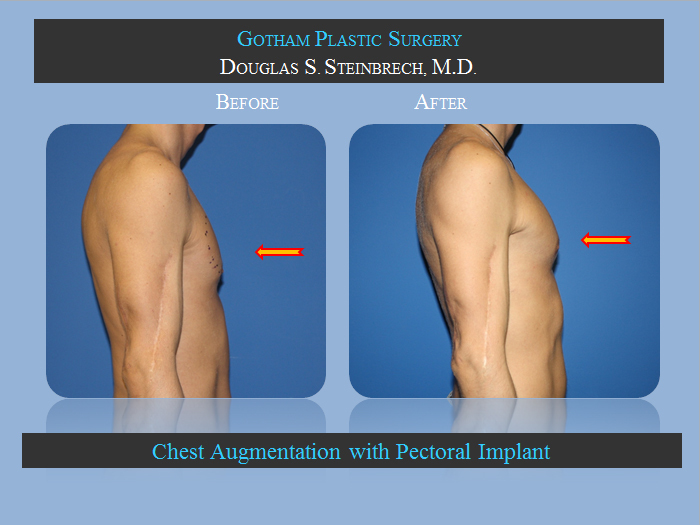 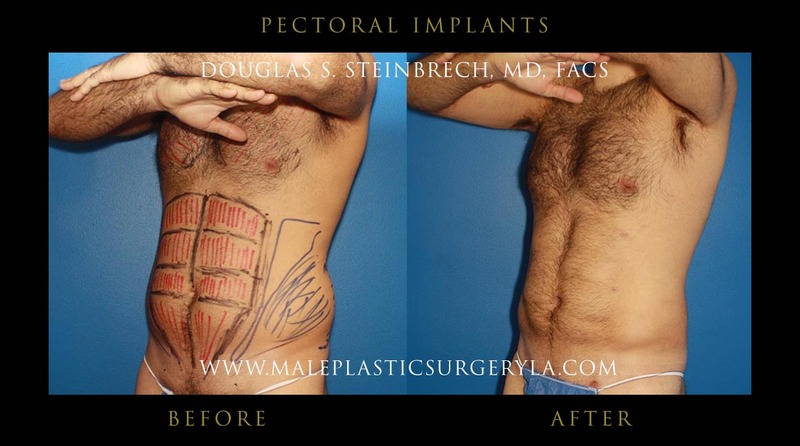 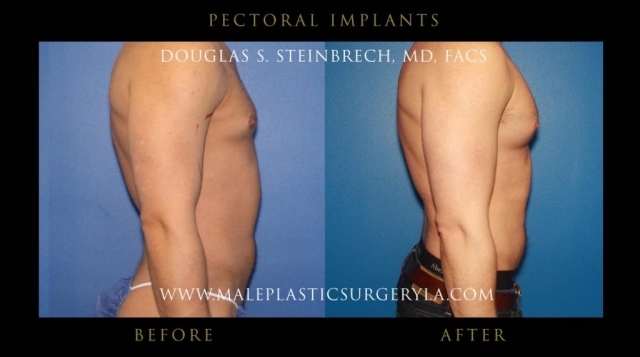 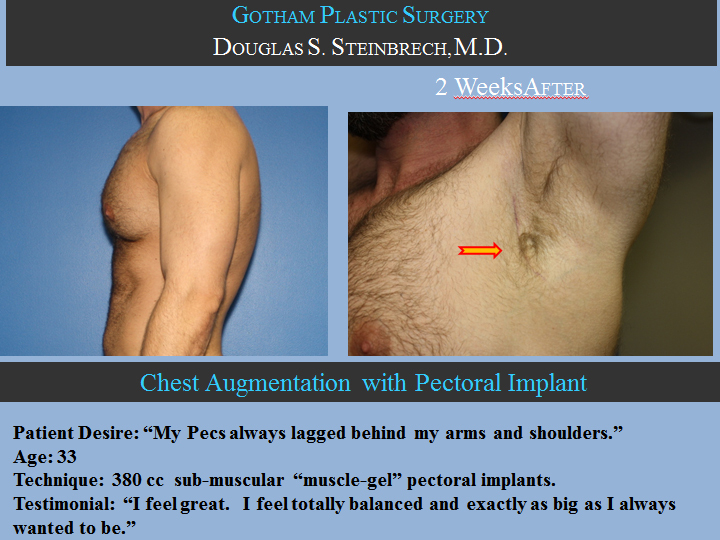 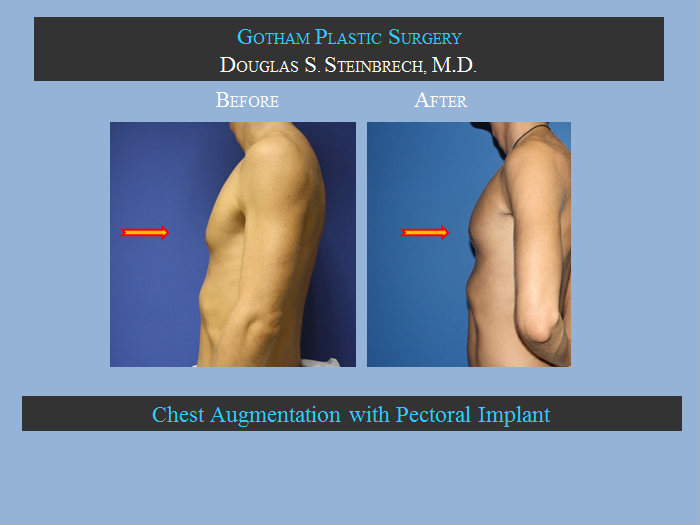 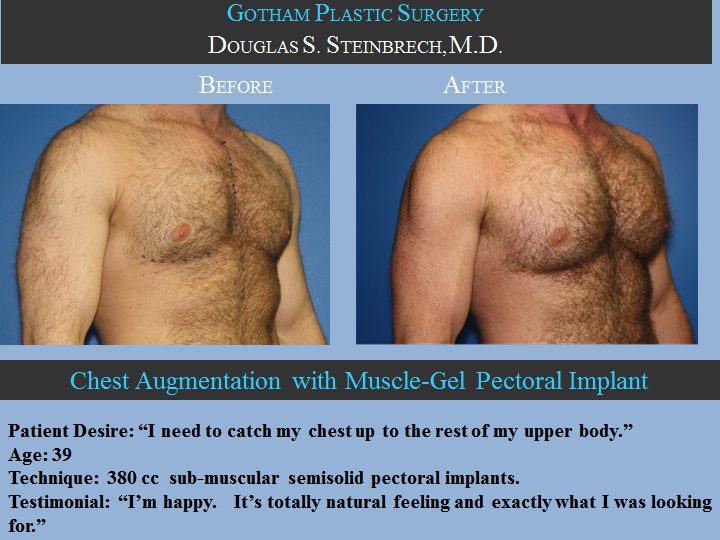 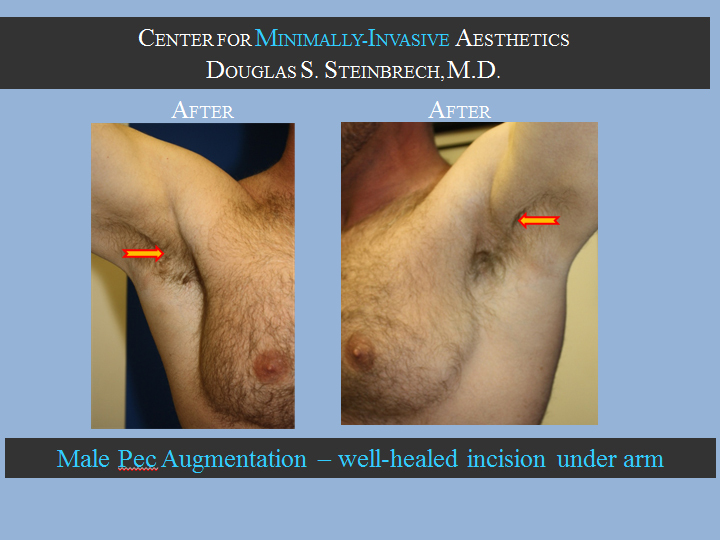 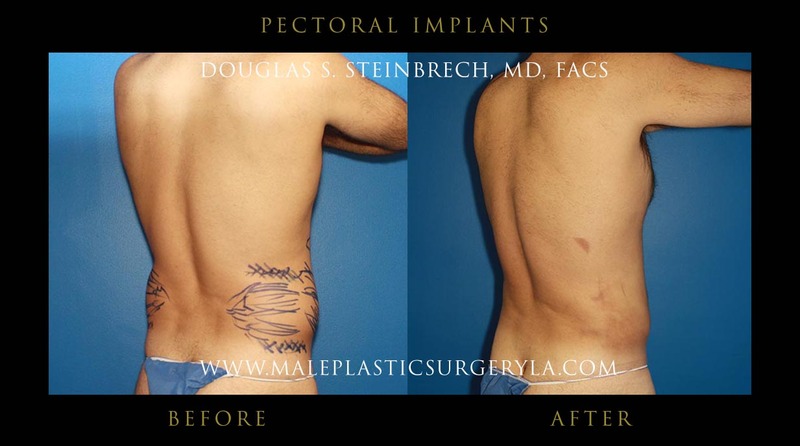 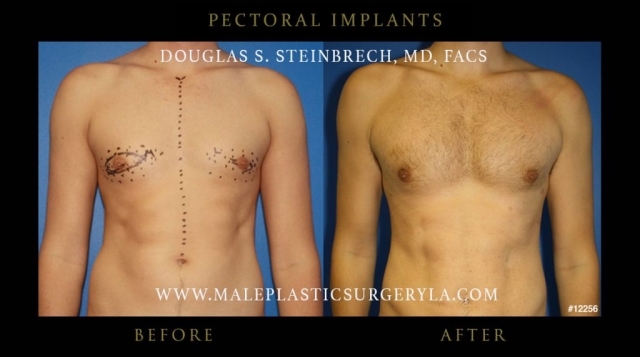 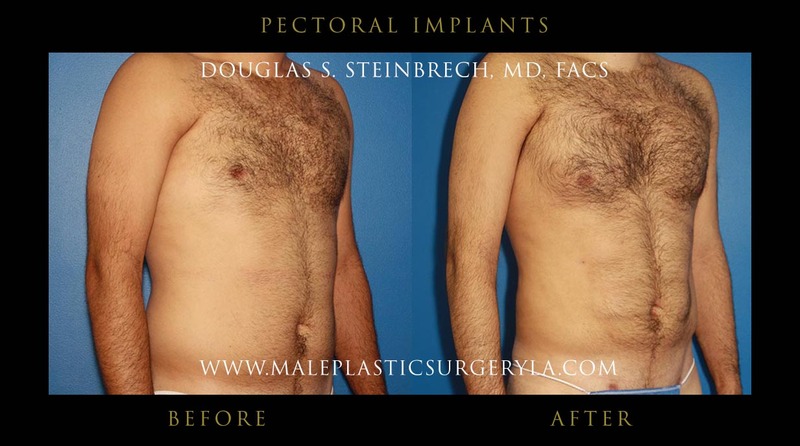 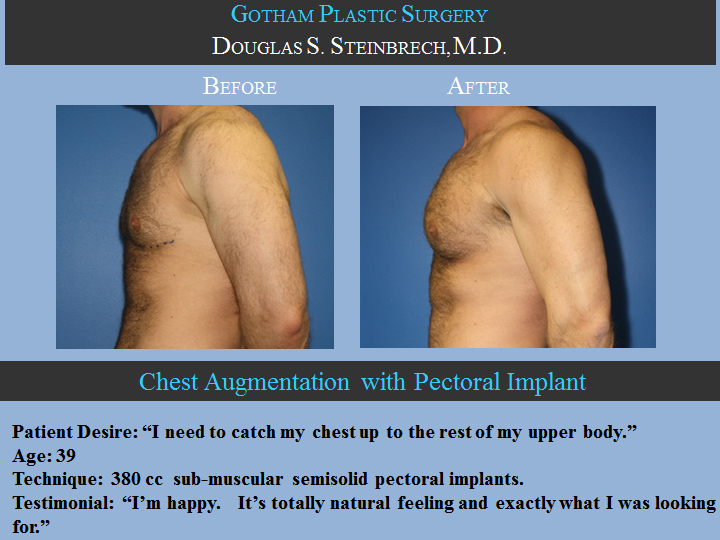 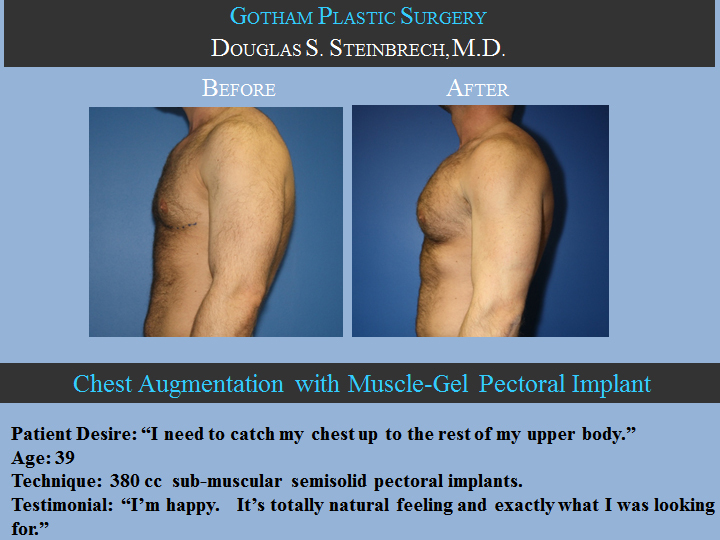 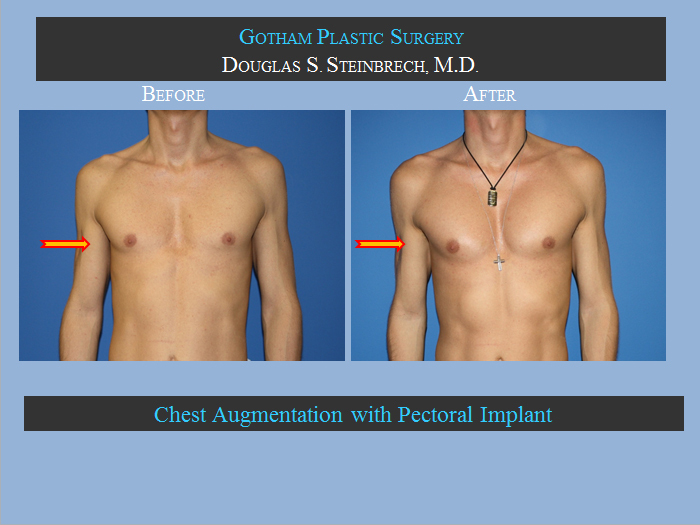 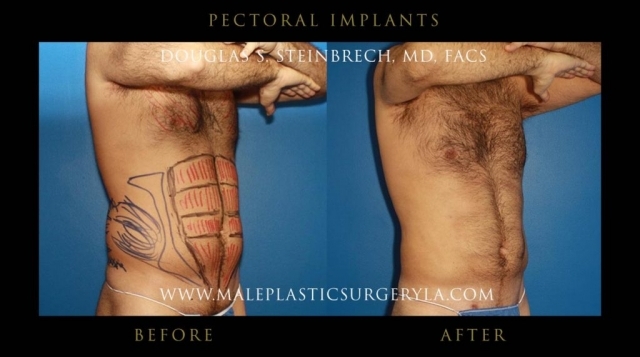 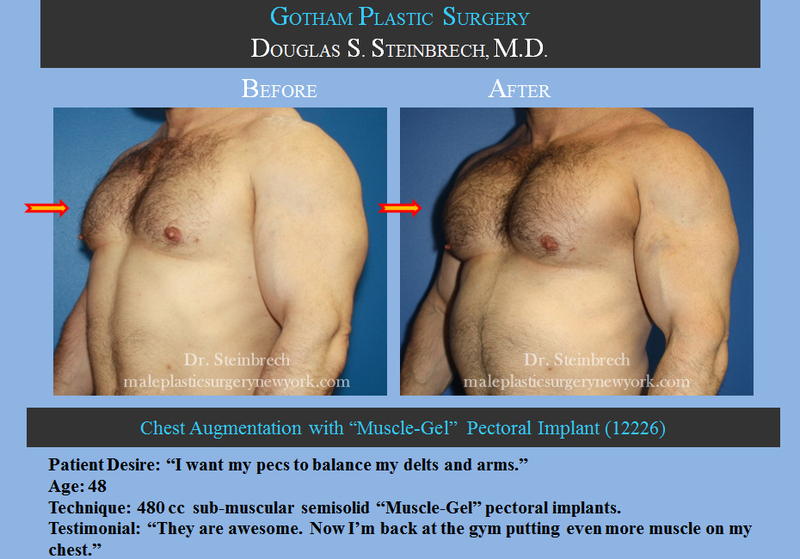 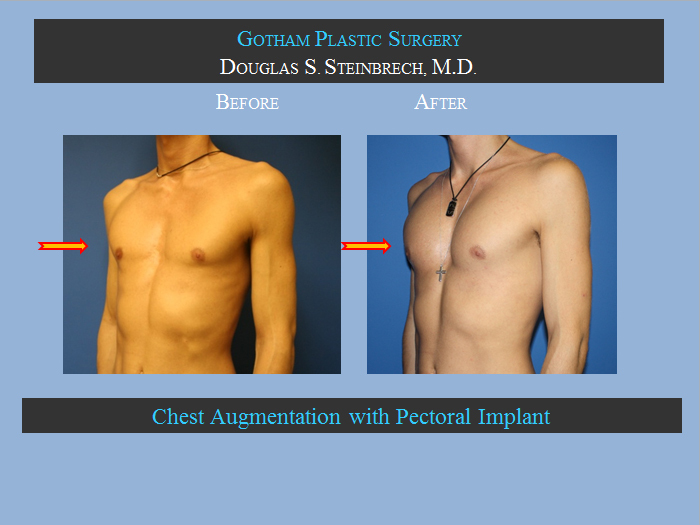 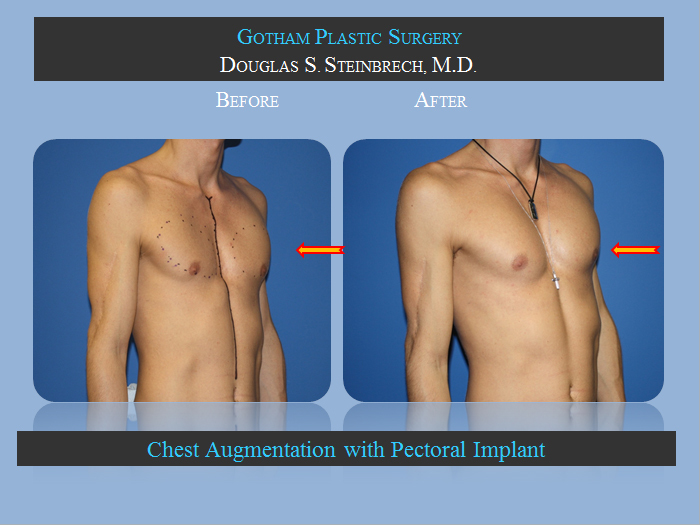 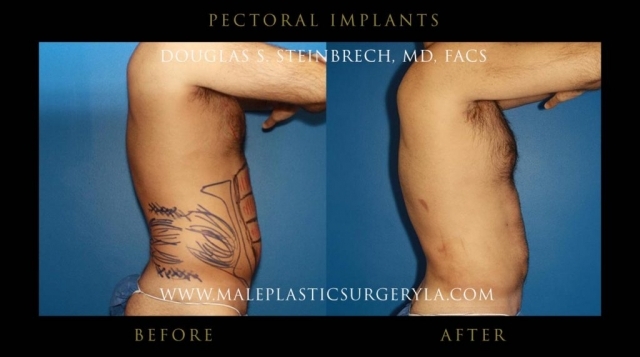 To view before and after photos from Los Angeles patients who had pectoral implants surgery performed by Dr. Douglas Steinbrech, please click on each thumbnail to enlarge to full size image. 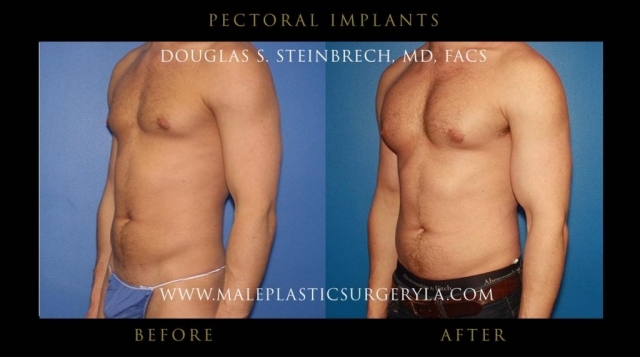 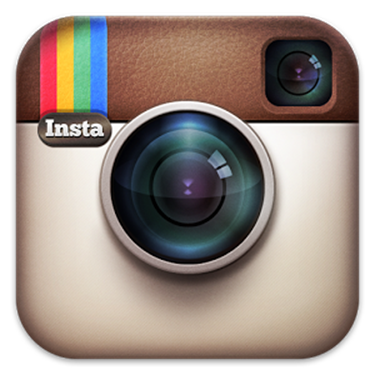 Interested in learning more about pectoral implants procedure in Los Angeles, CA? Schedule your consultation with Dr. Steinbrech today by using the contact form or speak to a Patient Advisor by calling 310-570-2402.